Two River Theater, under the leadership of Artistic Director John Dias and Managing Director Michael Hurst, announces the full cast and creative team for its production of Shakespeare’s Pericles, featuring original music and lyrics by multidisciplinary artist Rinde Eckert, who also plays Gower/Old Pericles. Pericles is choreographed by Tony nominee Dan Knechtges (Lysistrata Jones, Xanadu) and directed by acclaimed theater and opera director David Schweizer, whose past collaborations with Eckert include the Obie Award-winning And God Created Great Whales and Horizon, winner of the Lucille Lortel Award. 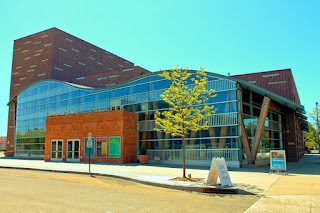 Performances will begin in Two River’s Rechnitz Theater, 21 Bridge Avenue, on Saturday, April 16 and continue through Sunday, May 8. The opening night performance is Friday, April 22 at 8pm. Tickets are available from732.345.1400 or tworivertheater.org. The lead production sponsor is Investors Bank. The first of the Late Romances, this version of Pericles is set in a dive bar at the end of the world, where a group of barflies and musicians gather to tell Shakespeare’s epic story of adventure, loss, redemption, and miraculous resurrections. With more than 40 songs and continuous underscoring, Eckert and the on-stage band will play an eclectic assortment of instruments including hammered dulcimer, toy piano, and steel drum. The ensemble, all of whom will play multiple roles, includes J. Clint Allen (The Comedy of Errors), Philippe Bowgen (The Changeling), Pulitzer Prize nominee and Grammy Award winner Rinde Eckert (And God Created Great Whales), Ellen Harvey (How to Succeed in Business Without Really Trying), Kevin Mambo (Two River’s Seven Guitars, Fela! ), Nikki Massoud (Zealot), and two-time Tony Award nominee and Obie winner Mary Testa (First Daughter Suite, Xanadu). The Music Director is Ian Axness and the guitarist is Will Bernard. Rinde Eckert (Gower/Old Pericles, Composer, Lyricist, Orchestrations) is an acclaimed writer, composer, librettist, musician, performer, and director. His virtuosic command of gesture, language and song takes the total theater artist moves beyond the boundaries of what a ‘play,’ a ‘dance piece,’ an ‘opera’ or ‘musical’ might be, in the service of grappling with complex issues. His theater writing/performing credits include the Obie Award-winning And God Created Great Whales, a collaboration with David Schweizer that had three Off-Broadway runs. David Schweizer (Director) made his New York debut at the age of 24 at Lincoln Center opening the brand-new Mitzi Newhouse Theater with his radical version of Shakespeare’s Troilus and Cressida for producer Joseph Papp. He has been directing innovative new theater, performance, and opera works for more than 30 years both nationally and internationally. His recent projects include A Streetcar Named Desire for Tulsa Opera, Candide for Long Beach Opera, and Next to Normal for Center Stage. Dan Knechtges (Choreographer) is a Tony-nominated director and choreographer working in theater, opera, concert dance, television, film, and music videos. His Broadway credits include Lysistrata Jones (direction and choreography), Xanadu (directed by Chris Ashley, Tony nomination, Drama Desk nomination), and The 25th Annual Putnam County Spelling Bee (directed by James Lapine). The creative team includes scenic designer Caleb Wertenbaker, costume designer Gabriel Berry, lighting designer Christopher Akerlind, and sound designer Ryan Rumery. The wig designer is Cookie Jordan and the casting is by Jack Doulin + Sharky. Ticket prices range from $37 to $65, with discounts available for groups, seniors, and U.S. military personnel, their families, and veterans. A limited number of $20 tickets are available for every performance; $20 tickets may be partial view. Tickets for patrons under 30 are $20 and include the best available seats at every performance. Tickets are available from tworivertheater.org or 732.345.1400. 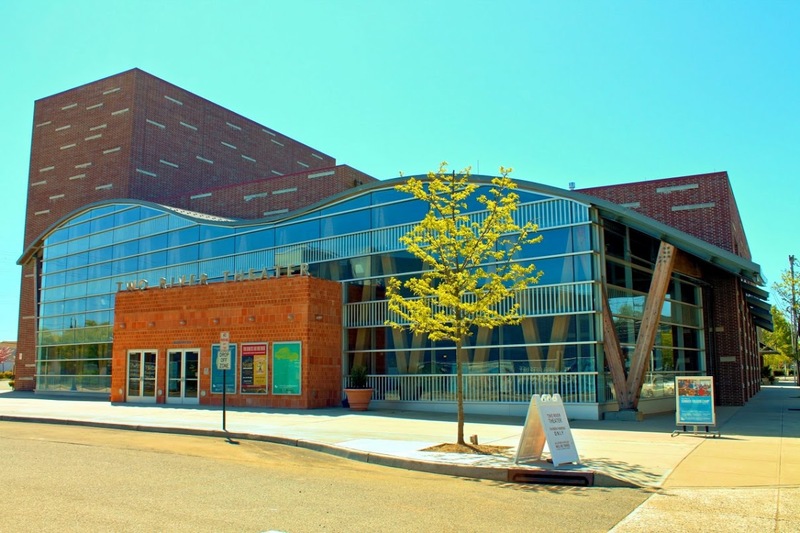 Inside Two River is a series of events specially curated for each Two River Theater production. For more information or to reserve seats, patrons should visit tworivertheater.org or call 732.345.1400. Please note that several of these events are off-site from Two River Theater. David Schweizer, Rinde Eckert, and cast members from Pericles will explore select scenes from the play in this free event, which will be followed by dessert and coffee in the lobby. For information or to purchase tickets, patrons should visit http://tedxnavesink.com/. Two River Artistic Director John Dias is an expert on the work of William Shakespeare and a professor on the topic at Columbia University. In this free talk, Dias will offer insight into the writer many consider the greatest playwright of all time. Literary Manager Anika Chapin will lead a discussion of The Alchemist by Paolo Coelho, the story of a young man who follows a prophecy around the world. In conjunction with Pericles, the Book Club will discuss literary journeys and how far you have to go to discover who you really are. This event is presented as part of the Conversation + Play salon series curated by The Navesink (producers of the TEDxNavesink conference) and Two River Theater. Tickets for this event are $50 and include the salon (exclusive pre-show event with talk, food, and drink) and the 8pm performance of Pericles; to purchase tickets, patrons should call 732.345.1400 or visit www.tworivertheater.org and use the promo code NAVESINK50. Audiences will learn more about Pericles in Two River’s Before Play lecture series, which takes place 45 minutes prior to every performance, and Lobby Display. Discussions with the cast and a member of Two River’s Artistic staff will take place on Wednesday, April 27 at 7pm; Sunday, May 1 at 3pm; and Wednesday, May 4 at 1pm. An audio-described performance is scheduled for Wednesday, May 4 at 1pm, and an open-captioned performance is scheduled for Saturday, May 7 at 3pm. Tickets are available at a discounted rate of $25 for patrons using these services. To reserve wheelchair-accessible seating or tickets to a performance listed above, patrons should call 732.345.1400 or e-mail boxoffice@trtc.org. The lead production sponsor for Pericles is Investors Bank. Inside Two River is sponsored by The William T. Morris Foundation. The Before Play series is sponsored by Zager Fuchs, PC.